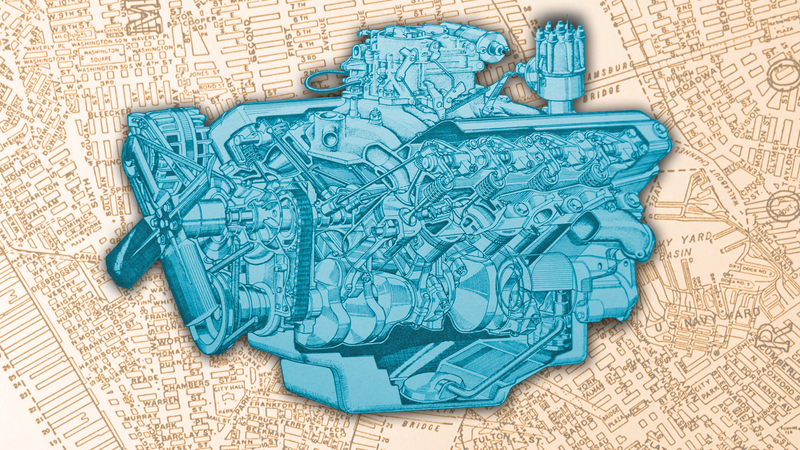 This is something I’ve been wondering about for quite a while, and something that’s caused a good bit of debate in the Jalopnik sauna after work hours: where and when was the highest concentration of cars with V8 engines in the known universe? I think I have an answer. I actually think the answer is pretty obvious, when you think about it. The highest concentration of V8 engines has to be in Manhattan, in the period between the early 1980s to the 1990s. And it’s all because of taxis. Think about it: New York City has official medallions for around 13,000 taxicabs. A number of different makes and models have been cabs, but Checker was dominant for many years, until they stopped being produced in 1982. Checkers came with GM-sourced inline-6 and V6 engines as standard, with an optional small block Chevy V8s. After Checkers stopped production, the taxi market was dominated by Chevrolet Caprices and Ford Crown Vics, which continued well into the 1990s. Both of these cars used V8 engines. So, if there’s about 13,000 official cabs in NYC, we can subtract, say, 1,000 of those for legacy six-cylinder Checkers and maybe some other oddballs out there. I think that’s generous. If we then take the area of the island of Manhattan, about 23 square miles, we can then compute that Manhattan, in the decade-and-a-half or so from 1980 to the mid ‘90s, had roughly 565 cars with V8 engines per square mile. That’s a lot of V8s. If anyone can think of any place and time that can possibly beat this number, outside of an engine storage warehouse or a car factory, I’d love to hear it. Maybe there's some island off the Australian coast that has more V8s per inch? What V8 Sounds Most Like The World Getting Torn In Half?